Welcome to Ora Dental Implant Studio, where your smile can be restored through one of our many implant options. Here you will find a dedicated dental team ready to provide you with exemplary service. Whether you need to replace one tooth, all your teeth or some in between, you will be pleased with the care and service you receive at Ora Dental Implant Studio. Experience our tranquil, relaxed atmosphere. Dental procedures do not need to produce anxiety. We take every opportunity to ensure that your time with us is comfortable and pleasant. 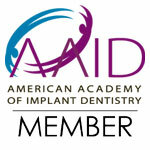 You will appreciate the personal attention and the care with which we perform dental procedures. Your smile may not be what you would like it to be today, but spend some time with us at Ora Dental Implant Studio, and you will soon have the smile of your dreams. 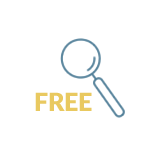 You will enjoy the comfort and easy oral care that dental implants can provide. 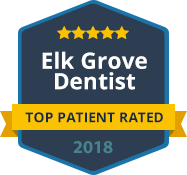 Our state-of-the-art technology, along with the highest quality materials and exceptional dental expertise, provide each patient with a rewarding and relaxing dental visit. Our minimally invasive techniques allow faster healing time and an incredibly comfortable experience. We also have same day teeth service. Improve your smile in just one visit. Oral health is the gateway to overall well-being. When your smile is not at its best, you are not at your best. Missing teeth compromise your oral health and can affect your self-confidence. Restore your smile, oral health and your feeling of self-confidence. 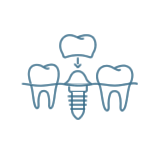 Ora Dental Implant Studio is the place you want to visit for the best oral care for your dental implants. Our highly trained dental professionals are committed to helping you attain the healthiest, most appealing smile possible. If you haven’t scheduled your appointment yet, be sure to contact us today. 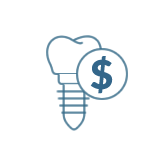 A dental implant is the gold standard for replacing missing teeth. 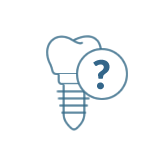 It involves a surgical post that is placed into the jawbone to serve as an artificial tooth root. 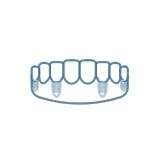 A prosthetic tooth or teeth, such as a crown, bridge or denture, can be secured on top of this surgically placed implant. 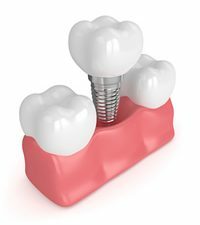 The success of a dental implant relies heavily on a natural process called osseointegration. 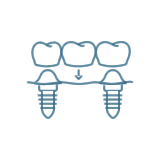 This refers to the ability of the implant fixture (a titanium post) to fuse to the surrounding jaw bone over time. 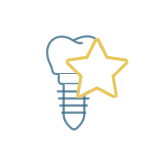 The healing process after implant surgery requires a variable amount of time to ensure the implant forms a strong bond to the underlying bone and is equipped to provide lifelong support for a replacement tooth or set of teeth. 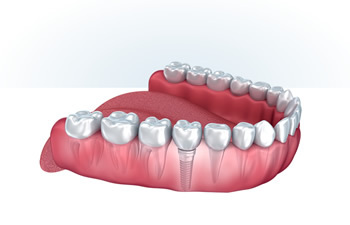 Once the implant completes osseointegration and heals, an abutment or implant restoration (crown, bridge or denture) can be securely attached above the gum line. 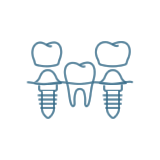 Dental implants are considered a permanent way to replace one missing tooth or a full mouth of missing teeth. They resemble natural teeth in appearance, feel and function and carry a remarkable success rate of up to 98%. I will highly recommend Dr. Dalla. I found him to be very pleasant and highly professional. I had implants done and he did it so well that I had no discomfort. He is an excellent dentist specialist. I went to Ora last month for a denture implant consultation, soon as I walked through the door I was greeted by the ladies in the front. My consultation went great Dr. Dalla was great, he listened to my concerns and explained what would be the best procedure for my situation. Also worked with my financial situation. I had all my teeth extracted and my dentures placed. Tia was so wonderful she did her best to calm me down and reassure me there was nothing to be nervous about. Before he started I expressed how nervous and scared I was he assured me I was in great hands and I was. The staff there is the best. I have a little discomfort but when I looked in the mirror for the first time a hour ago I was very very happy with my outcome. I still have to go back for the implants then I'll be finished. I want to thank the whole staff at Ora for giving me my confidence back in my smile. First visit went very well, the Doctor listened to what I needed/wanted done, and gave me a schedule to complete the work. 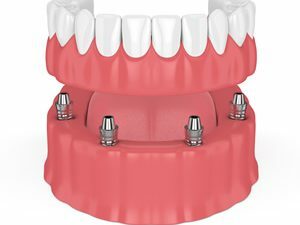 Are All-on-4 Implant Dentures Right For You?